cushions in the fabrics you require. reversible, both sides featuring a contemporary design. 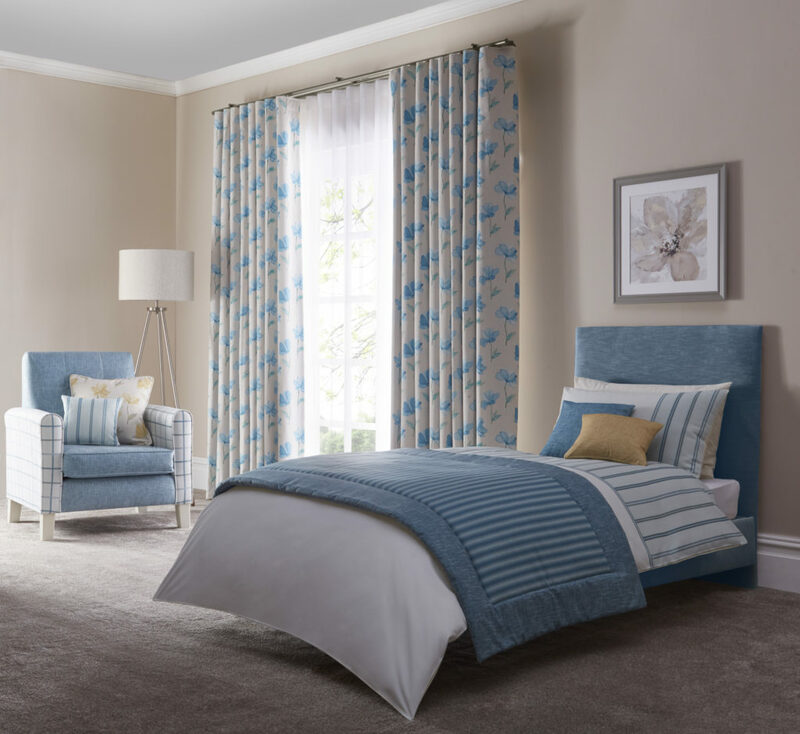 Bed sets are available as fully reversible, both sides featuring a chosen design or block colour. Available in a suitable base cloth. Add additional texture and colour to a room with a matching bed throw. Panel bed throws are cost-effective and create a super soft ambience to enhance the look of a bedroom. Throws meet the necessary British Standards for flame retardancy and are available in a wide range of fabrics. Finished in your design in a choice of suitable base cloths, we provide coordinating fabric for headboards. Available in single, double, king and superking with the option to cordinate covers, pillows, throws, cushions and headboards.